Gustavo Gutiérrez Merino, O.P. is a Peruvian theologian and Dominican priest regarded as the founder of Liberation Theology. He holds the John Cardinal O'Hara Professorship of Theology at the University of Notre Dame. He has been professor at the Pontifical Catholic University of Peru and a visiting professor at many major universities in North America and Europe. He is a member of the Peruvian Academy of Language, and in 1993 he was awarded the Legion of Honor by the French government for his tireless work. He has also published in and been a member of the board of directors of the international journal, Concilium. He has studied medicine and literature (Peru), psychology and philosophy (Leuven), and obtained a doctorate at the Institut Pas Gustavo Gutiérrez Merino, O.P. is a Peruvian theologian and Dominican priest regarded as the founder of Liberation Theology. He holds the John Cardinal O'Hara Professorship of Theology at the University of Notre Dame. He has been professor at the Pontifical Catholic University of Peru and a visiting professor at many major universities in North America and Europe. He is a member of the Peruvian Academy of Language, and in 1993 he was awarded the Legion of Honor by the French government for his tireless work. He has also published in and been a member of the board of directors of the international journal, Concilium. He has studied medicine and literature (Peru), psychology and philosophy (Leuven), and obtained a doctorate at the Institut Pastoral d'Etudes Religieuses (IPER), Université Catholique in Lyon. The founder of liberation theology, he was born in Peru, and spent much of his life living and working among the poor of Lima. In September 1984, a special assembly of Peruvian bishops were summoned to Rome for the express purpose of condemning Gutiérrez, but the bishops held firm. Gutiérrez's groundbreaking work, A Theology of Liberation: History, Politics, Salvation (1971), explains his notion of Christian poverty as an act of loving solidarity with the poor as well as a liberatory protest against poverty. Second, liberation involves the emancipation of the poor, the marginalised, the downtrodden and the oppressed from all "those things that limit their capacity to develop themselves freely and in dignity." Liberation theology and Gutiérrez have both been the subjects of repeated Papal scrutiny. A Theology of Liberation: History, Politics, Salvation was reviewed directly by then-Cardinal Ratzinger and found to contain ideas which, in the view of conservative Catholics, were disturbing. 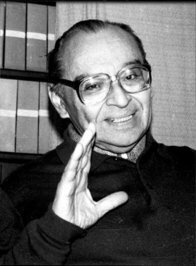 Although Gutiérrez himself was not censured, many other liberation theologians received Papal censure. Because of the perceived connection between followers of Liberation theology and leftist groups like the Sandinistas many liberation-minded clergy were killed in Central American countries during the 1980s, most notably, Archbishop Oscar Romero. Is this you? Let us know. If not, help out and invite Gustavo to Goodreads.